United States industrial production posted the biggest monthly decline since 1974 while consumer prices were flat in September, according to reports Thursday. Adding to the gloom a factory index for the Philadelphia region hit an 18-year low this month. The United States Democratic presidential nominee Barack Obama is entering the third and final presidential debate Wednesday with a wide lead over Republican rival John McCain, according to the latest CBS News/New York Times poll. Democratic US presidential candidate Barack Obama unveiled on Monday an economic rescue plan for the middle class at a campaign event in Toledo, Ohio. The US government announced a 250 billion US dollars plan to purchase stakes in a wide variety of banks in an effort to restore confidence in the sector. President George W Bush said the move would help to return stability to the US banking sector and ultimately help preserve free markets. The Unites States automobile giants General Motors and Chrysler are in talks about a possible merger, according to reports in the US media. Apparently talks have been going on for a month but details of the deal are not clear and neither party has made any direct official comments. Two United States Treasury Secretaries James Baker and Lawrence Summers spoke out in favour of the need for the federal government to assume partial ownership of US banks during the Sunday morning television show This week. United States presidential candidate Barak Obama on Friday welcomed a plan by Treasury Secretary Henry Paulson to buy equity in financial institutions if necessary to halt market turmoil. United States government's debts have ballooned so badly the National Debt Clock in New York has run out of digits to record the spiraling figure. 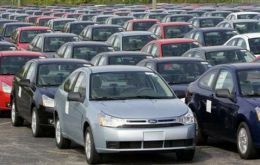 The financial crisis is hurting automotive dealers across United States and could contribute to an estimated 700 dealerships closing this year, the US National Automobile Dealers Association Chairwoman Annette Sykora said on Tuesday. 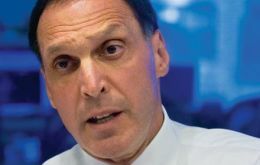 The head of failed United States investment bank Lehman Brothers told Congress on Monday that he took home about 300 million US dollars in pay and bonuses over the past eight years.